In this photo of Disney's Haunted Mansion ride, I wanted to include the horseless carriage in the photo. I did not go on the ride, but I had to go through the line to get to this spot. I asked the Disney Cast Member if I could just go into this area to take a few photos, and he let me go right in. I was very thankful for that. I wanted to get this particular view as to me, this is the magical view we all see when we enter the ride area. It sets the stage for the entire experience of this ride. I wanted to create an image that captured that and I feel like I did that. 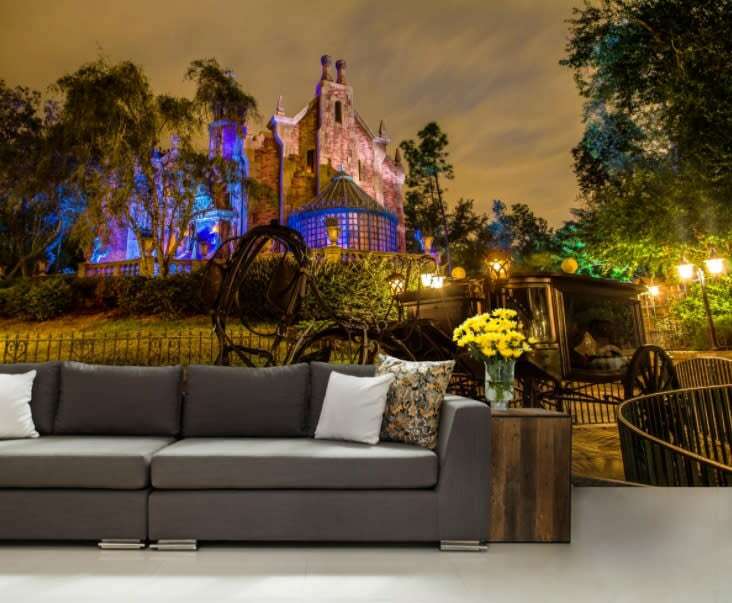 The Haunted Mansion ride at Walt Disney World is one of the park iconic rides. The movie may not have been, but the ride is always popular. 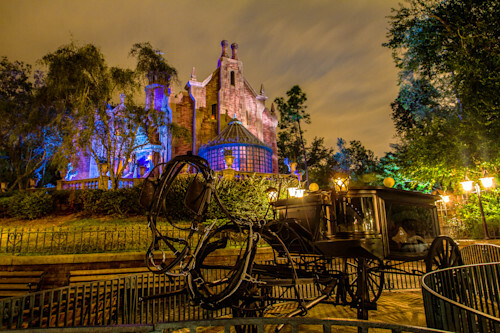 In this Disney Art Gallery photo of the Haunted Mansion ride, I wanted to include the horseless carriage in the photo. I did not go on the ride, but I had to go through the line to get to this spot. I asked the Disney Cast Member if I could just go into this area to take a few photos, and he let me go right in. I was very thankful for that. 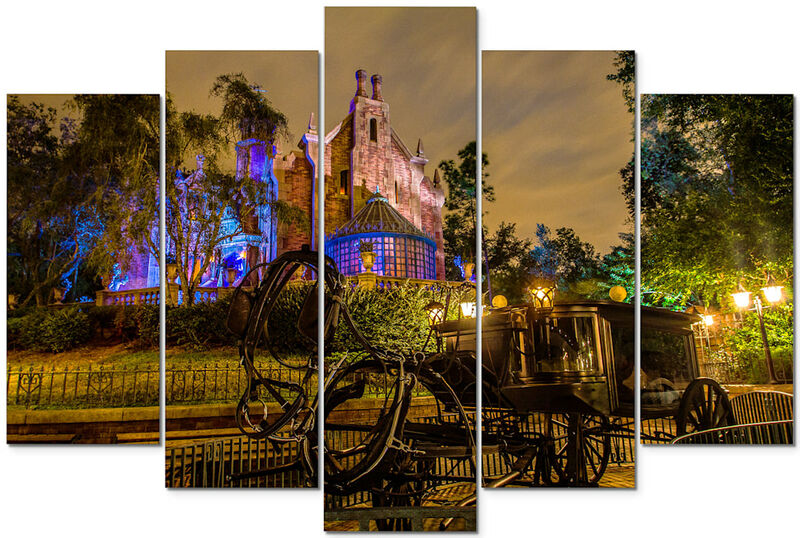 This Magic Kingdom image is also available as an exclusive Disney Wall Mural! I hope you enjoy this Disney Wall Art photo, and please feel free to share it!